Stockholm – The “Capital of Scandinavia”? This slogan and brand launched by Stockholm Business Region in 2005 is understandably controversial. The Danes and Norwegians call it “Typical Swedish megalomania”. Naturally, there is no such thing as a capital of Scandinavia just as there is no capital of Europe. The Nordic market only, Sweden, Denmark, Finland, Norway and Iceland, makes up the 11th largest economy of the world, with a remarkably high level of purchasing power. Looking at a map of the region one can see that Sweden is an ideal location, serving as a gateway to three markets: The Nordic countries (25 million consumers), the Baltic Sea region (100 million consumers) and the European Union (more than 500 million consumers). A recent report by Stockholm Business region based on an analysis of Forbes Global 2000 companies presence in the Nordic region concludes that among the Forbes Global 2000 companies that have established operations in the Nordic region with regional headquarters, about 64 percent have chosen to locate their regional headquarters in Sweden, 20 percent in Denmark and 8 and 9 percent in Norway and Finland respectively. Despite the refugee crisis, negative interest rates and some regional housing shortage the Swedish economy is booming this year. Sweden continues to rank as one of the most competitive, productive and globalized countries in the world. Have you considered setting up a Nordic presence for your business? Would “The Capital of Scandinavia” be your location of choice? Perhaps Oslo or Helsinki would be alternatives to consider as well? The Scandicorp group has a presence and offices in all three cities. Feel free to contact us for further information at www.scandicorp.com. Sweden’s Nordea Bank, the largest bank in the Nordic region, is launching a platform for crowdfunding where individuals can participate in the financing of unlisted companies through purchasing shares in such companies. The bank appears to be taking up the fight against startups in the fintech business. The platform is being announced today in Finland, where the Finnish Crowdfunding Act is scheduled to come into force in July 2016. According to the Bank’s Twitter account, the platform will be announced in Sweden tomorrow in connection with the quarterly report. Crowdfunding and crowdlending have become popular in the Nordic region. In Sweden, examples are Fundedbyme , Toborrow , Pepins , Tessin and Kameo, all of which have entered the business from slightly different different angles. These players have been able to act undisturbed by major banks for more than five years , but now Nordea becomes the first traditional bank to embark in the crowdfunding area . Time to invest in Sweden? Yesterday, Swedish Finance Minister Magdalena Andersson raised the economic growth forecast for 2016 and predicted narrowing deficits in the coming years as an economic boom helps the nation cope with a record influx of asylum seekers. Gross domestic product will expand 3.8 percent in 2016 and 2.2 percent in 2017, compared with December forecasts of 3.1 percent and 2.6 percent respectively, the Stockholm-based Finance Ministry said in a statement. It now predicts budget deficits of 0.4 percent of GDP in 2016 and 0.7 percent in 2017, compared with earlier forecasts of 0.9 percent and 0.8 percent. The growth forecast is one percent higher than the forecast presented in connection with the 2016 budget last fall. Growth is now higher than in the United States, Germany and Great Britain. Unemployment is at its lowest level in seven years and Sweden gains market shares on international export markets. The finance minister expressed worries that despite the good outlook there are some risks associated with the present state of the economy in the close trading partners Finland and Norway. Edit: The video is no longer available. “You will soon be connected to a random Swede, somewhere in Sweden.” 250 years ago Sweden was the first country to abolish censorship. Now Sweden is the first country with its own phone number. Call the Swedish number on +46 771 793 336 and a random Swede will pick up the phone. Why not call the Swedish number when you need some Swedish business culture advice for your next business meeting? Swedes are very punctual and direct, laid back but yet efficient, Swedes take business seriously. You should never be late. If you must be late for some reason it is polite to phone and let the other person know. Being late is seen as poor etiquette. You may think twice before ordering a glass of wine at your next business lunch. When you are doing business in Sweden you can expect to address a person by his or her first name. Don’t forget handshake is the accepted form of greeting. Interested to invest in Sweden? Contact Scandicorp direct on +46 8 122 041 45 or send an e-mail to our Nordic Business Development Director Till Sahlgren: till.sahlgren@scandicorp.com. He is English, Swedish and Finnish speaking. An Englishman named Colin Moon stated some of the most common polite phrases in Swedish. Read and learn. The Swede is a person of few words. Eng: Excuse me, I didn’t quite catch what you were saying. Eng: Sorry for bumping into you like that. So terribly clumsy of me. Eng: It’s you! How lovely to see you! Eng: How are things with you? Eng: Excuse me, may I disturb you for a second? Finland and Sweden rank 1st and 2nd respectively in how its domestic policies support worldwide innovation, according to an analysis released today by the Information Technology and Innovation Foundation (ITIF), a global technology policy think tank. The findings come in a new report assessing 56 countries—which together comprise close to 90 percent of the world’s economy—on the extent to which, on a per-capita basis, their economic and trade policies contribute to and detract from innovation globally. While previous research has ranked countries based on innovation capabilities or outcomes, this report is the first to assess the impact of countries’ policies on the broader innovation system. The authors examined 14 factors that not only support innovation domestically but have positive spillover effects globally, such as supportive tax systems and investment in R&D and human capital, and another 13 factors that have negative spillover effects, such as forced localisation and weak intellectual property protection. Finland’s 1st-place overall ranking reflected a combination of policies that the report found to be 3rd best in their positive contribution to the global innovation ecosystem and also the least damaging. While six European countries were in the top 10 for their positive contributions to the global innovation ecosystem, the continent’s prominence on the list was driven in particular by holding nine of the top 10 spots for being the least damaging. Finland, Sweden, the United Kingdom, and the Netherlands were all ranked in the top 10 in both categories. The report also found a strong correlation between countries’ contributions to global innovation and their levels of domestic innovation success, meaning that doing well domestically on innovation policy can also mean doing well for the world. The UK-Sweden tax treaty, signed March 26, 2015, entered into force on December 20, 2015, HM Revenue and Customs announced January 13. The treaty replaces a tax treaty signed August 1983. The treaty will take effect in both Sweden and the United Kingdom in respect of taxes withheld at source, for amounts paid or credited on or after January 1. In Sweden, the agreement takes effect for other taxes on income, for taxes chargeable for any tax year beginning on or after January. In the UK, the agreement takes effect in respect of income tax and capital gains tax, for any year of assessment beginning on or after April 6; and in respect of corporation tax, for any financial year beginning on or after April 1. The WHT rate on dividends is 5% and reduced to 0% if the recipient is a company owning 10% of the capital of the payer. No WHT on royalties. For full details read this PDF. Forbes gauged the World’s Best Countries for Business by grading 144 nations on 11 different factors: property rights, innovation, taxes, technology, corruption, freedom (personal, trade and monetary), red tape, investor protection and stock market performance. Denmark scored first, Norway third, Sweden fifth, and Finland sixth. New Zeland was second and Ireland fourth. The EF English Proficiency Index 2015 (EF EPI) attempts to measure the Worldwide English Proficiency when it comes to English as a Second language. The Nordic countries ranked among the top five in the world: Sweden 1st place, followed by the Netherlands, Denmark, Norway and Finland. This year’s EF EPI report profiles all 70 ranked countries, using test data from 910,000 adult English language learners. The report reveals a correlation between countries English abilities and innovation metrics such as R&D expenditure and high-tech exports. There is also a high correlation between English skills and quality of life, GNI per capita, and internet connectivity. As English is widely spoken in the Nordics it will reflect on the ease of doing business. 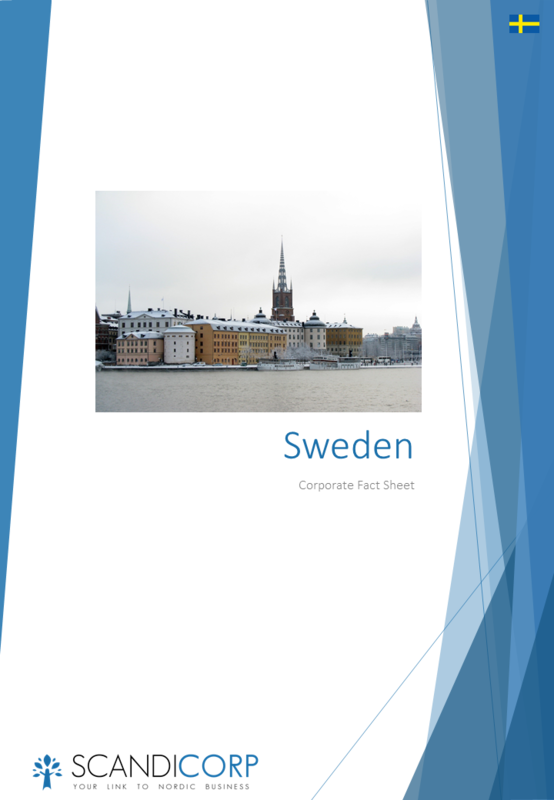 Download our free corporate fact sheets for Norway, Sweden and Finland. EF Education First is a Swiss based education company specializing in language training. The company was founded in Lund, Southern Sweden.